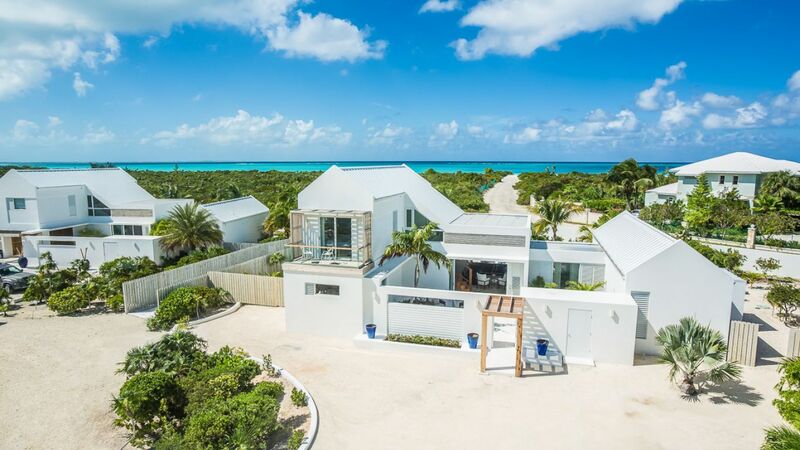 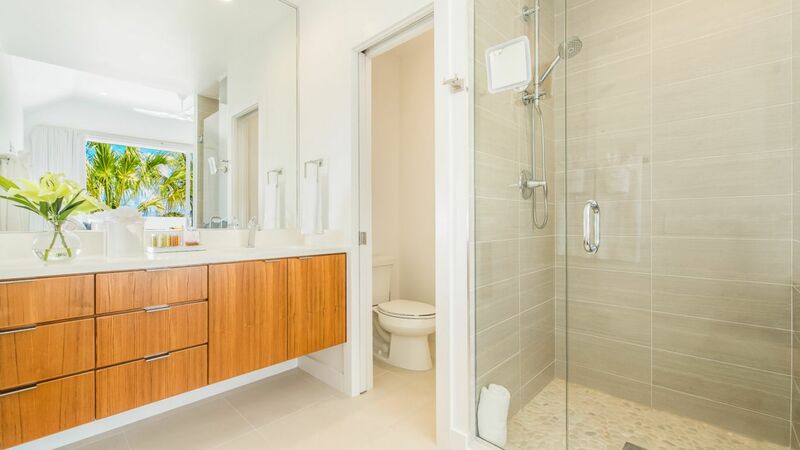 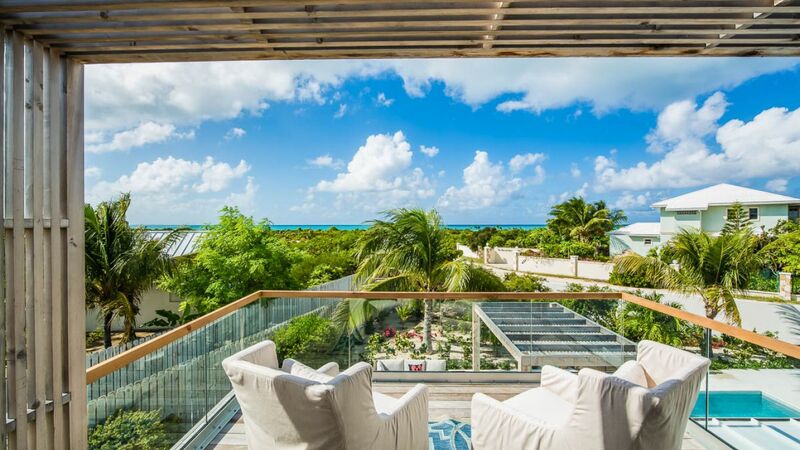 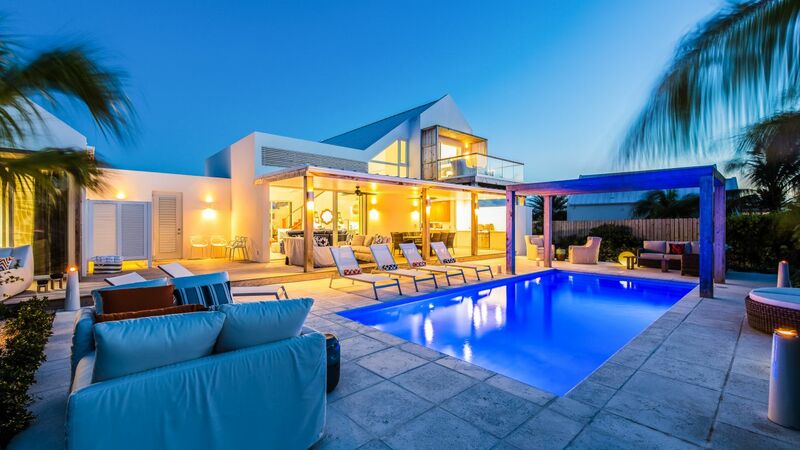 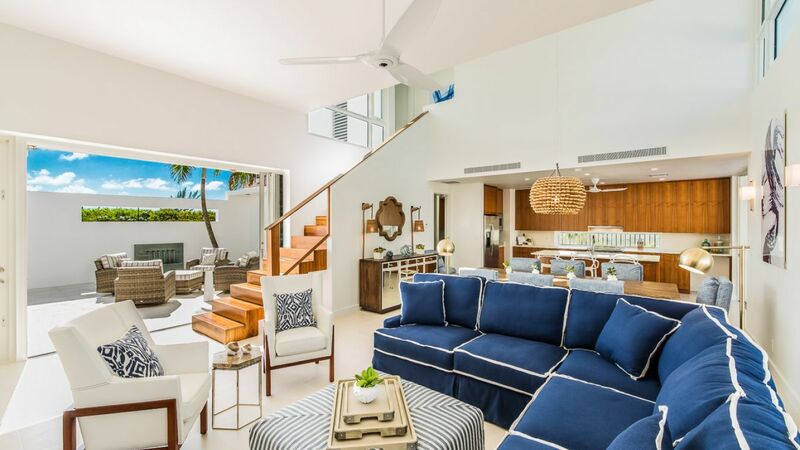 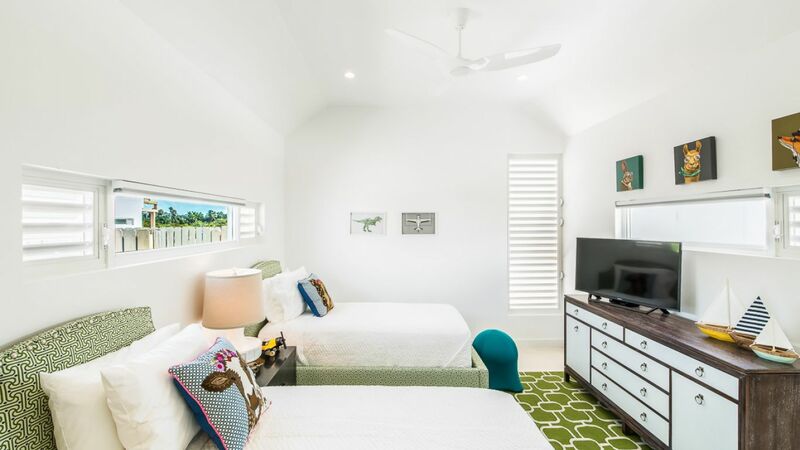 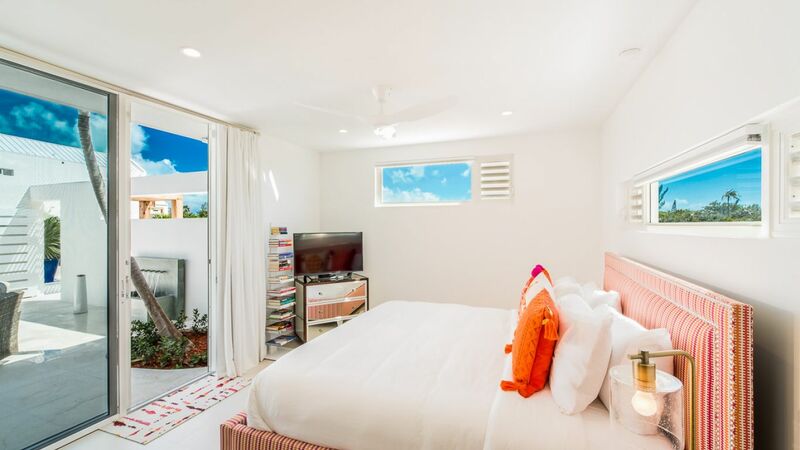 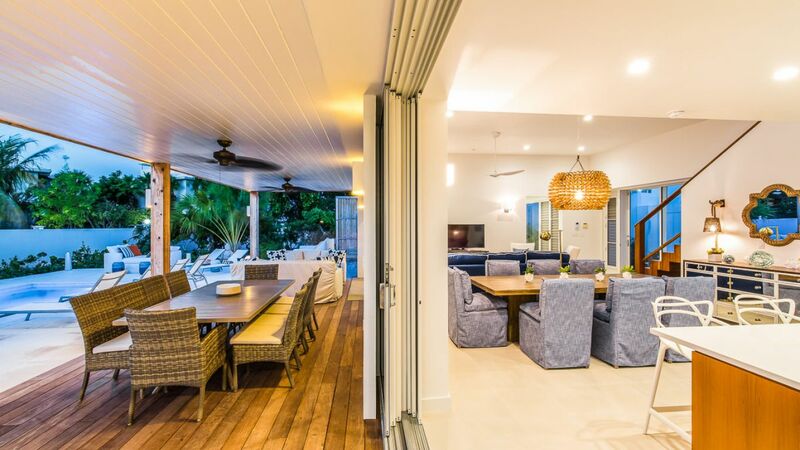 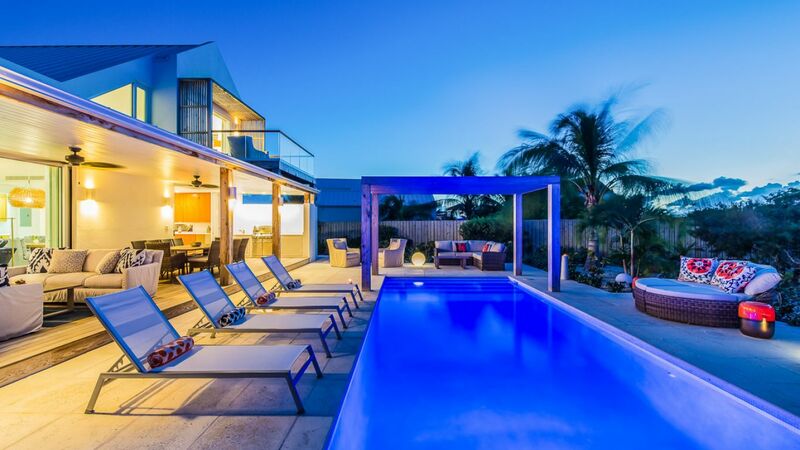 Villa Linda is a pristine vacation rental located in Leeward Estates, in the prestigious Grace Bay area of the Turks and Caicos. 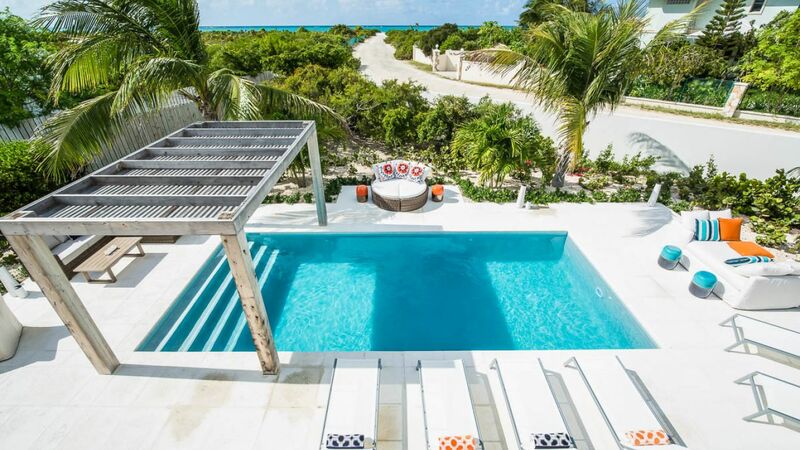 Just a two minute walk from the powdery white sands of this world renown beach. 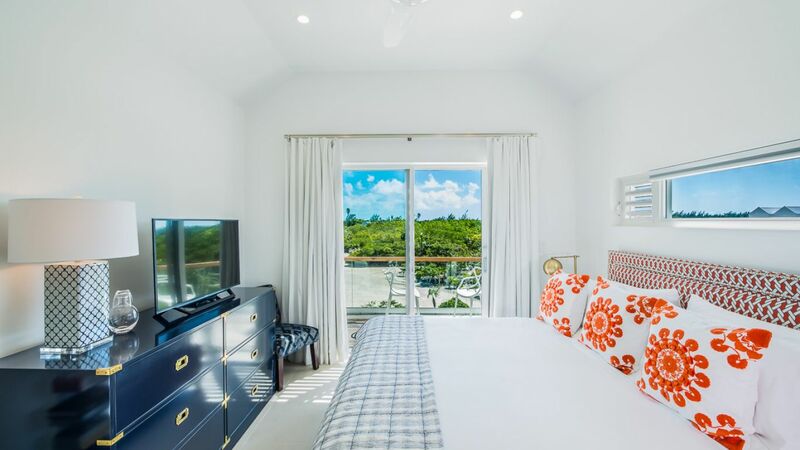 This luxury retreat provides a private villa experience within an ambiance reminiscent of a beachside boutique hotel. 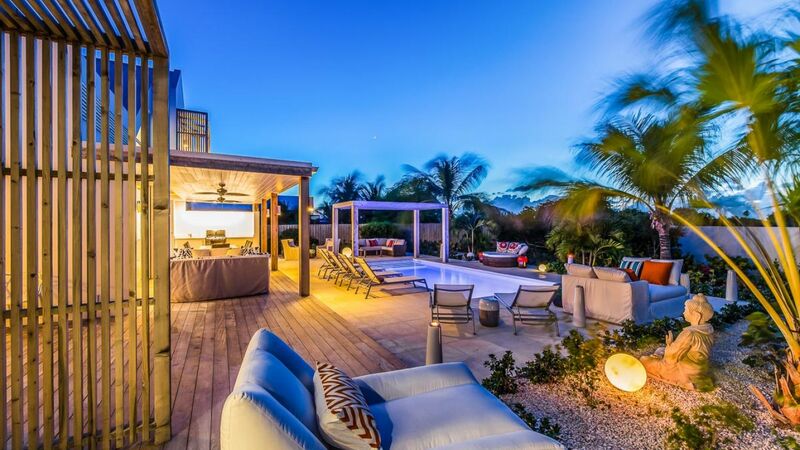 Truly capture the essence of indoor/outdoor Caribbean living and make this holiday one for the books. 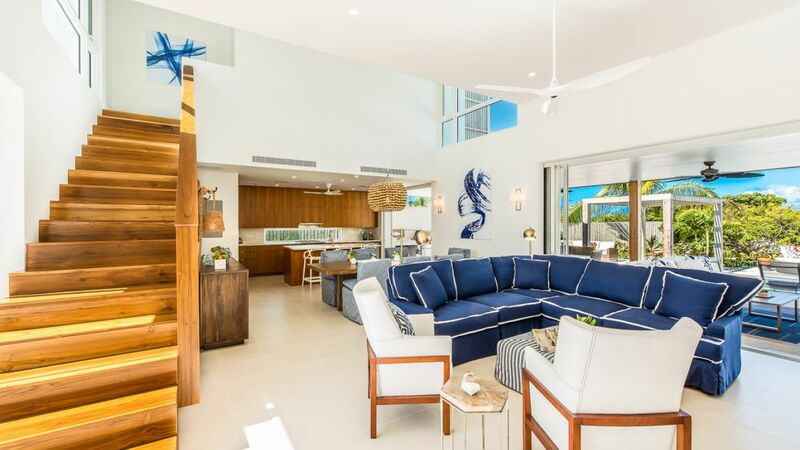 The great room's open concept design with vaulted ceilings and A-frame windows provide a vast amount of natural light and visual space. 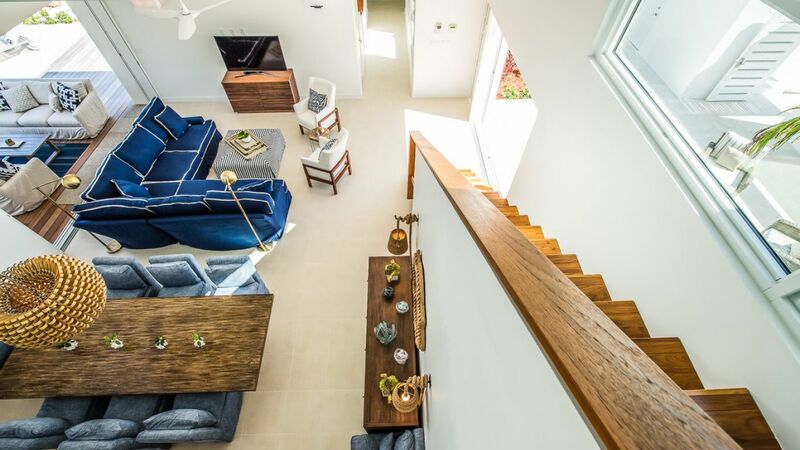 This open space comprises a living area with a sectional couch and a television next to the contemporary formal dining area. 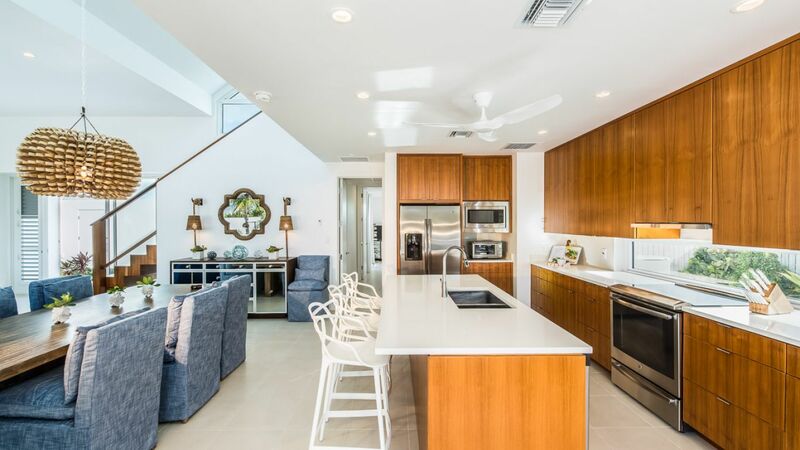 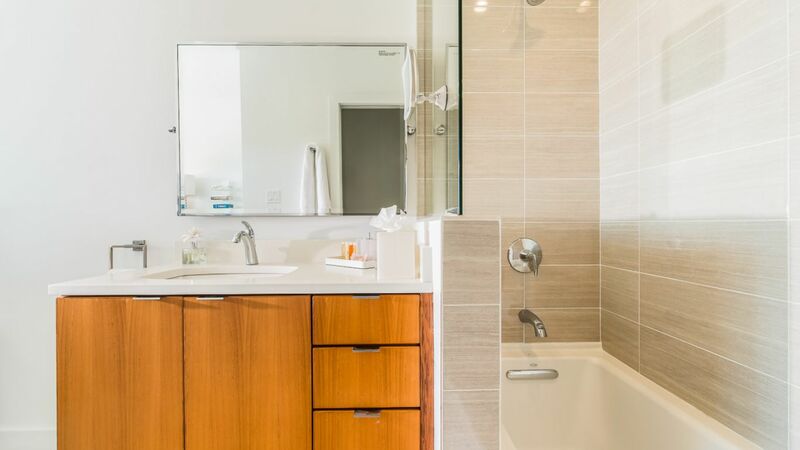 The fully equipped kitchen features Quartz counter-tops, custom cabinetry, stainless steel appliances and a center island breakfast bar. 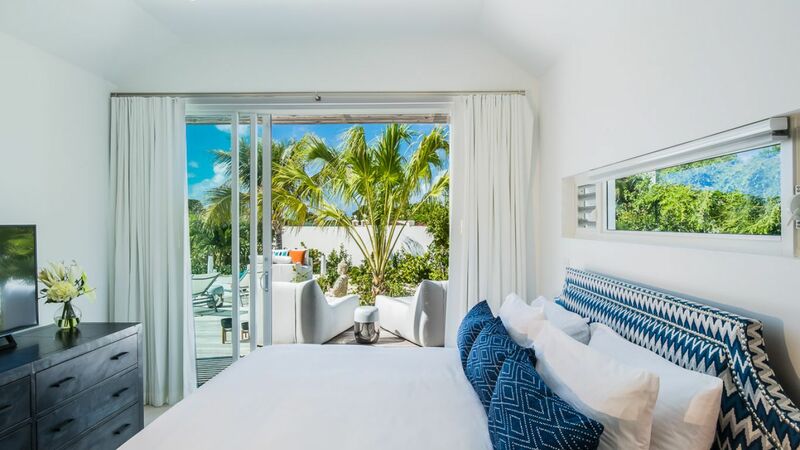 Five exquisite bedrooms accommodate up to ten guests at this non-smoking, air-conditioned villa. 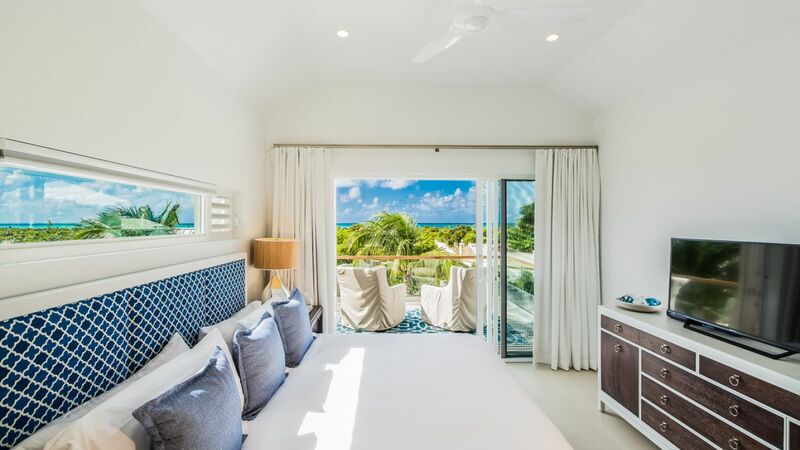 No matter how much you love to wade and splash in the turquoise waters of the Caribbean Sea, you will no doubt enjoy having the convenience of a private swimming pool and alfresco shower right at home. 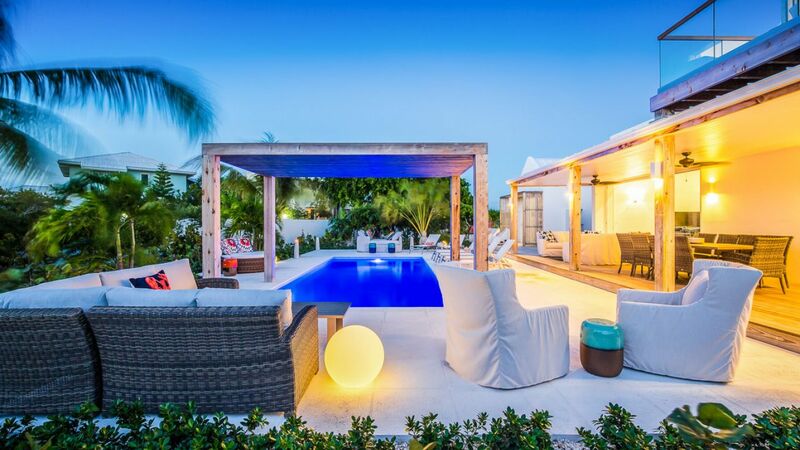 The back of the villa opens up to an expansive outdoor area with a shaded terrace, beautiful pool area and elegant native landscaping. 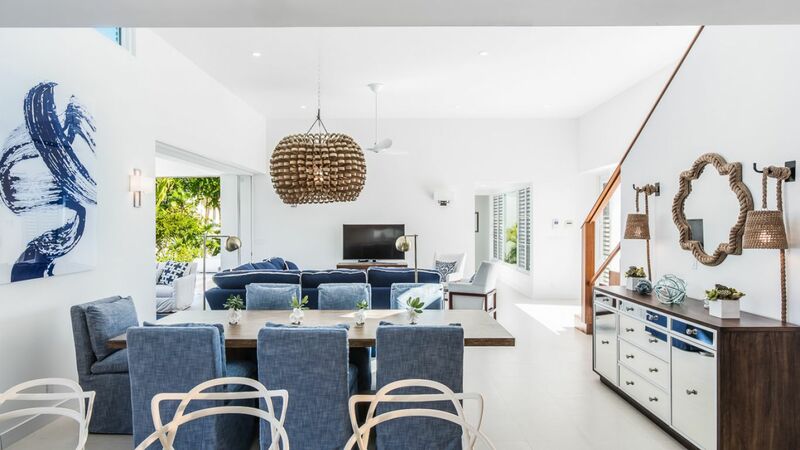 To optimize your beach holiday, this villa also provides use beach chairs and rafts as well as a cooler and beach towels. 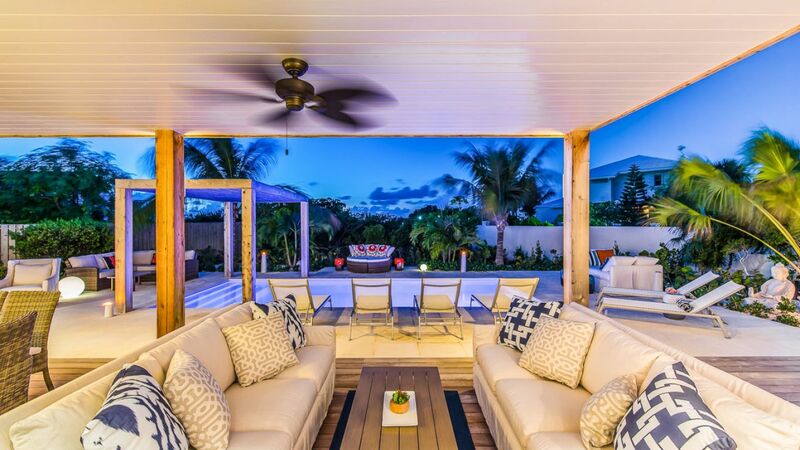 The covered outdoor kitchen has been equipped with a Weber S Series grill sits amid multiple entertaining areas for guests and family.